Some of us for some reason or another cannot attend a lecture or a retreat and wish we could ...I am one of those people ! However, this audio book transported me magically to experience the retreat as if I was indeed present . I loved the audience participation and laughter. I was instantly in the room with them all and felt I was sharing the whole experience . 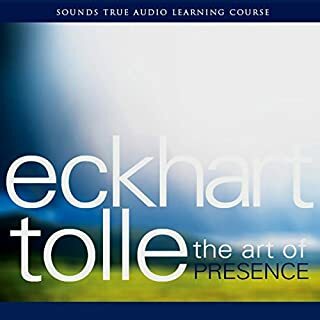 Eckhart Tolle's delivery and narration was in perfect, natural rhythm and I would whole heartedly recommend this to anyone - whether you have read any of Eckhart Tolle's books or not !